What exactly does this mean? 'Seller financing', 'Owner will carry', 'no bank financing', 'land contract', 'contract for deed". Is this something new? Another scam? These are questions that I have been bombarded with ever since I listed one of my investment homes as 'owner will carry'. Actually this is going back to the way that real estate started back before mortgage brokers, negative mortgage, APR, ARM, and a host of other mortgage acronyms. Very simply put.....the owner of the home is acting as the bank and is financing the home directly to you. With the current bank situations, the mounting multitude of foreclosures, short-sales and bankrupsies; going back to the 'old ways' makes sense. This is giving homeowners and investors another alternative to the conventional banking industry. You will still have to come up with a down payment of 6%-20% but you will not have the costs of obtaining a loan which in some circumstances can be as high as 7 1/2% - - in just closing costs! In a traditional owner carry situation the down payment is directly applied to price of the home! Now that just makes sense! 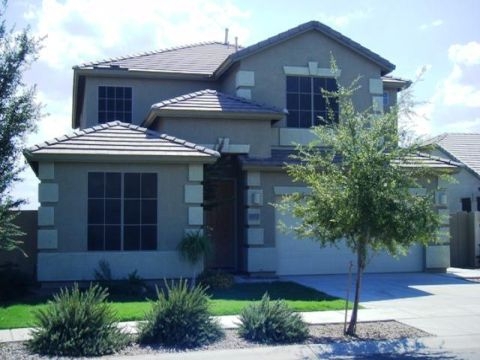 click here for FREE LIST OF SELLER FINANCED HOMES IN THE PHOENIX AREA. Email me at: Barb.England@yahoo.com and I'll set up your custom search. We are your local Real Estate Professionals and can provide you full service for your Seller Financed home in the Phoenix area.